ST. GEORGE — Prospective missionaries for The Church of Jesus Christ of Latter-day Saints will no longer need to wait for the their assignments or “mission calls” to be delivered via regular postal mail, as the church is now switching to an online method of delivery. 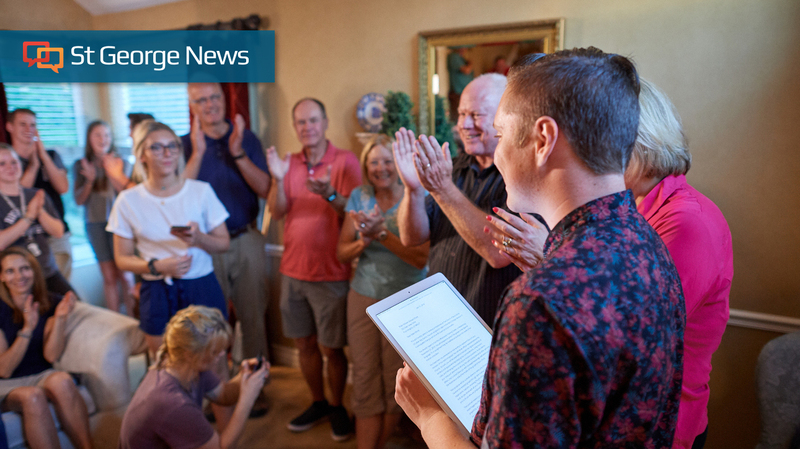 According to a statement posted on the church’s newsroom site Tuesday, the process has been tested in various parts of the world over the past several months and will now be expanded to all of Utah and Idaho. Despite the change in notification, friends and family will still be able to gather in anticipation when the missionary first opens the electronic “letter” and finds out where he or she will be sent to serve among the church’s 407 missions in more than 150 countries worldwide. By the end of 2018, it is anticipated that nearly all missionaries around the world with reliable internet access will receive their calls online, the church statement said, adding that the change is expected to drastically cut the wait time for missionaries to receive their calls. Instead of taking several days or even weeks to arrive via regular mail, the calls can now be received and opened in a matter of minutes. Electronically hmm? I guess it’ll save them a few bucks $$$? I would just wait for a holy mormon angel to float down and give the calling “in person”. I never could do it. Could not in good conscience go around preaching something that I believe is totally a fabricated fairytale. I believe that’s what the founder Prophet Smith did was go around tricking people into believing in his fairytale. These young college age kids are gullible. I suppose that’s what keeps the whole business running smoothly. Fortunately, it sounds like you’ll never have to worry about receiving such a letter… or email. I sincerely hope nobody would go around in good conscience preaching things they don’t believe. That is the definition of hypocrite. Btw, it’s good to know that people still have an opinion on everything. Especially religions they don’t believe in. I was getting worried there for a bit. How will the missionaries know that it’s not “fake news”?